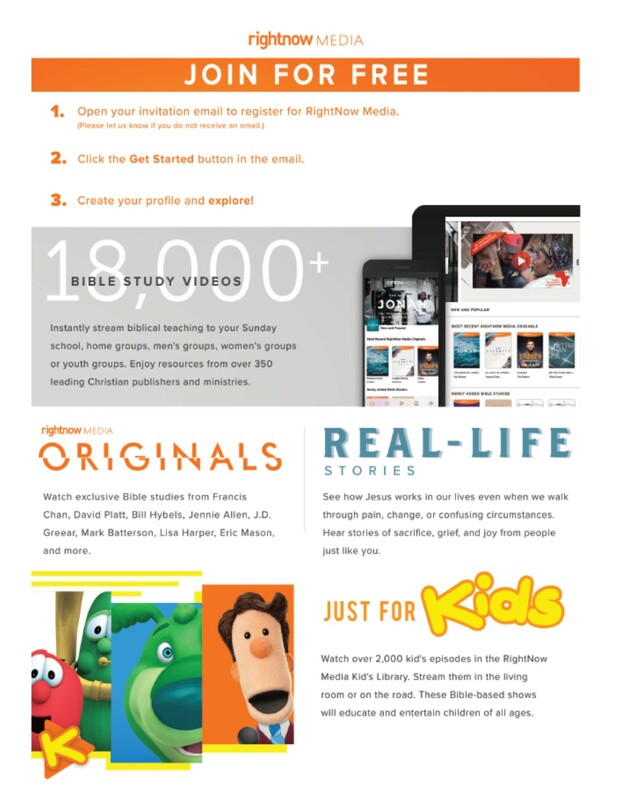 Right Now Media is digital resource for Small Groups, Lifelong Learning, personal study, and families. 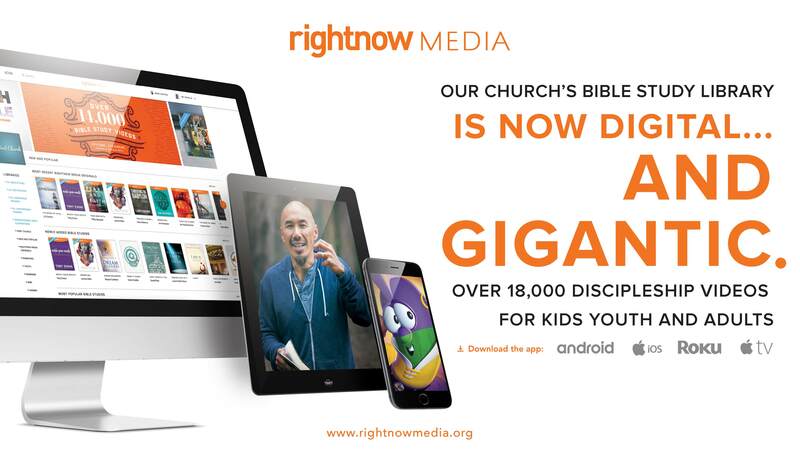 RightNow Media is a free gift to you to enhance your growth and maturity as a Christian. With access to many different video driven bible studies, you can grow through every age and stage of life. You can access these videos at any time, and through many different devices. You can use this resource in a small group, for personal bible study, you can use it with your spouse or roommates in the evenings, or you can use it with your kids with fun and biblical material geared towards them. Please complete the form below to subscribe. You will be sent an email with a link to create your own personal login to access this resource where ever and when ever you are. Right Now media is available anywhere you have an internet connection or on your iphone, smart phone or android phone. You can also watch videos on your t.v. by simply connecting your device to your t.v.